Niklas is a guitar player from southern Sweden and is currently active in the band ”STROKKUR” which was founded in 2016 and released their debut album ”Vantablack” in 2017. He is also active with ”HULKOFF” as studio/live musician. In the progressive metal genre he has released two albums with the band ”Harkla” who has alot of influence from the mighty ”Meshuggah”. 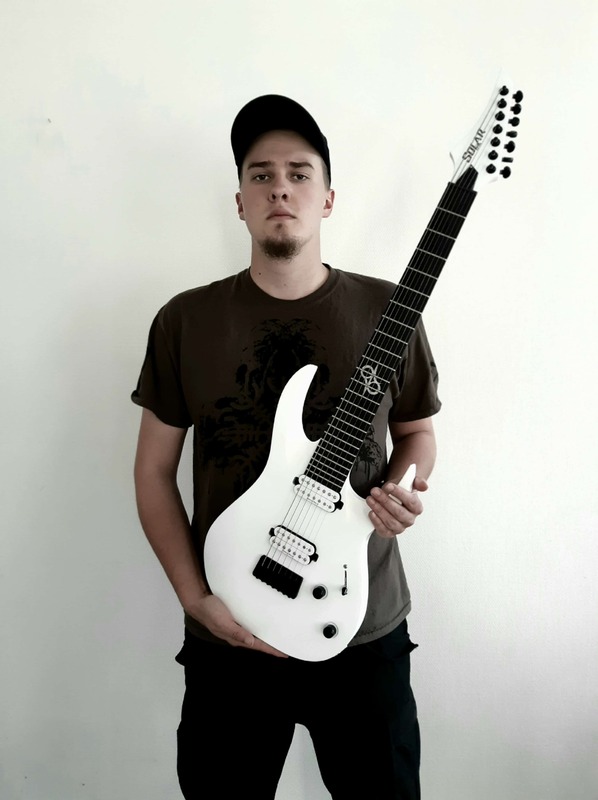 Niklas comes from a family of successful musicians who has played with some of the greater names in the rock/metal genre. Niklas has just started his career as a touring musician and studio engineer. A long journey in the music world awaits this young man.. I have never played a more stable and fast playing guitar than the Solar. With the 26.5 inch scale the tone stays clear and still easy to play when it comes to bending. I couldn’t find a more perfect match that suits the way I play than the Solar. If you are thinking of getting one, stop thinking…DO IT!